If anyone was ever in a sporting barren run it would me in recent years. Many have had a stab at me over the years for the teams that I support and their lack of silverware. Arsenal are currently on an 8 year trophy drought (You mean you hadnt heard that yet!? ), the Cheetahs went 29 years between their first 2 Currie Cup titles (and not since 2007), Mclaren have not won the Constructors title since 1998 and Kaizer Chiefs had not won the PSL since 2005. So you can understand in looking at the above stats, I am definitely not a glory seeker and that when championships do come along, I will celebrate a little bit more than maybe a Manchester United supporter who are used to regular success. And celebrate is exactly what I am busy doing right now, as my love affair with Kaizer Chiefs is in a blissful state after the Glamour Boys did what Jessica Motaung has been calling for all season in “Reclaiming the Glory”. In a season that started with the appointment of Stuart Baxter and the ridicule around his suspicious CV, where media and fans alike questioned the Scots ability. 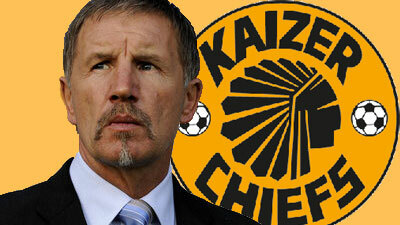 The men from Naturena proved to rise to the challenge and led the PSL from the start. The league was won on the back of an undefeated home season with 8 wins and 7 draws and although the away form was not as great losing to Ajax and Platinum Stars, the Amakhosi were able to confirm the title with a game to spare and the hashtag quickly went from #ReclaimingtheGlory to #GloryReclaimed. The team was led by the brilliant Itumeleng Khune, who will rightfully clinch the PSL Player of the Season award as well, and the signings of Gaxa and Masilela made the defence a tighter unit than in previous seasons. Incredibly this will be the first title for the likes of Shaba and Yeye and boy do they deserve it. Thank you Amakhosi! To leave you with one thing now, Arsenal, were you watching! The first Scotsman to lift the PSL?